Carrot and lettuce in seed for saving. 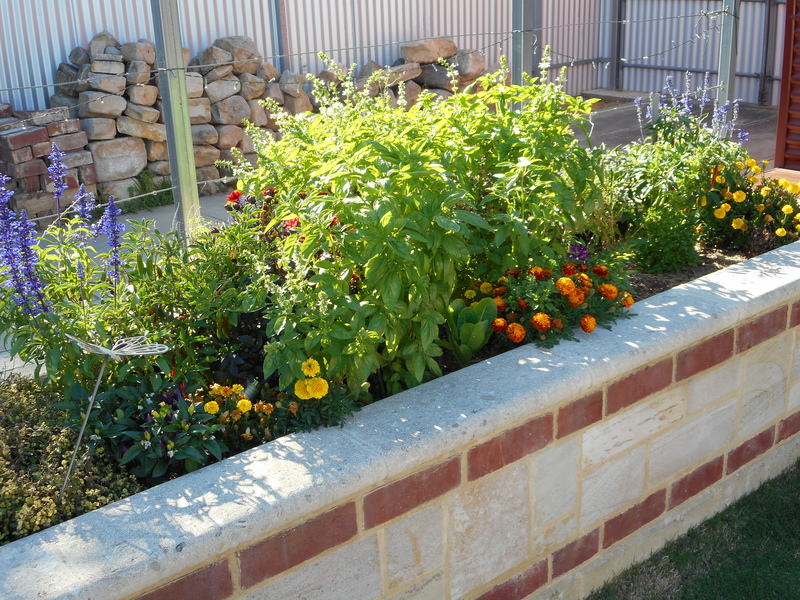 Autumn is my favourite time in the garden, I can stay outside all day on the weekends digging,weeding, planning and planting, still with a hat on but I don’t have to worry about getting sun-burnt even with sunscreen on! Spread Complete ‘D’ in shallow holes 5cm away from where you have planted them about four weeks after seedlings appear, not at sowing time as high nutrients at germination causes the roots to fork. 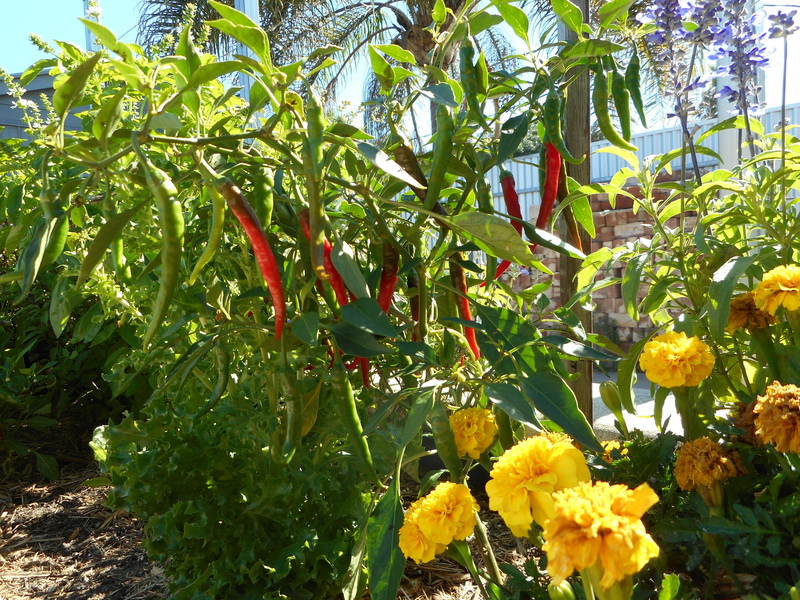 Thanks to Malcolm Campbell from 891 talk back gardening Sunday morning for that tip! I hope that you have had an amazing Summer in the garden and are ready to welcome Autumn. 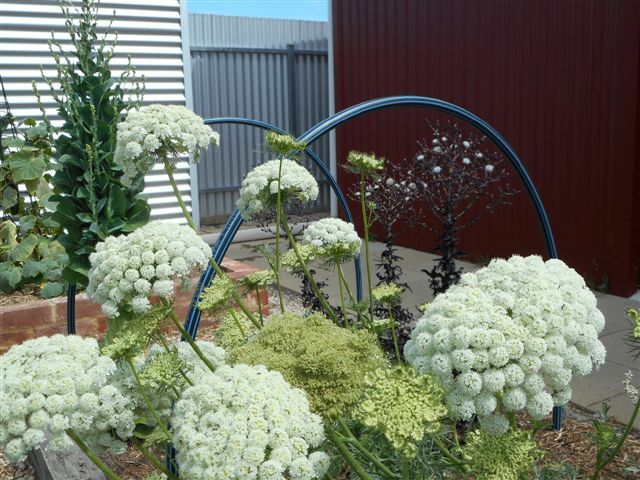 How is your garden going this month? The weekend just gone temps were 39 and 41 degrees here in Adelaide, way too hot for me to be out in the garden so instead I pickled the jalapenos I picked earlier in the week. 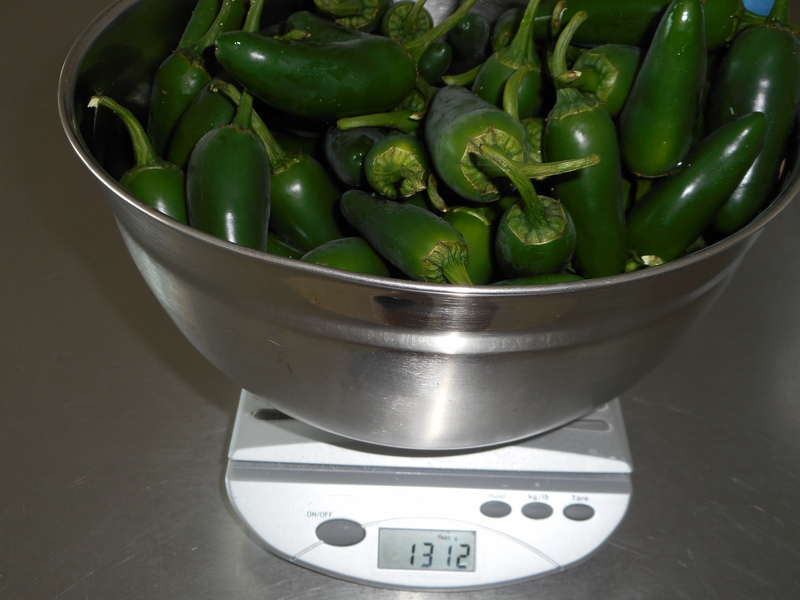 I mentioned in my last post that we LOVE jalapenos, I had a pretty small harvest last year and we didn’t have enough to last us through the year, it was tragic. That was not going to happen again! 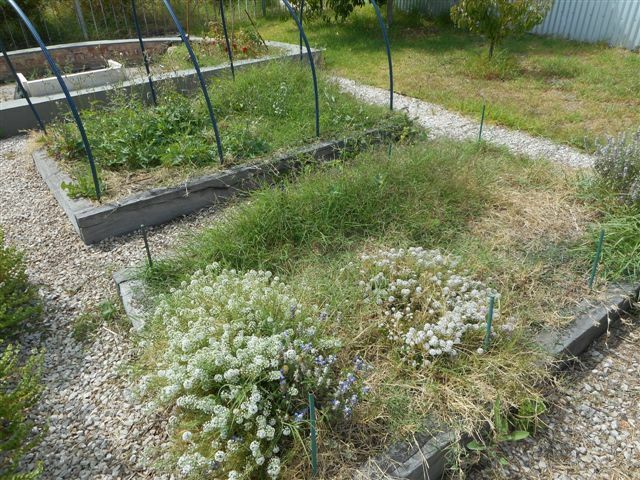 I planted 7 plants this year and covered the bed they are in with the white bird exclusion netting for the first time, it has been a great success and will use it on more beds. It has stopped the blackbirds from digging up the bed which has allowed the mulch to stay in place and do it’s job over summer, the soil has been protected and the plants have been healthy. The recipe I am sharing is one I got from my mum, a family heirloom, enjoy! For every kilogram of jalapeño’s you will need the following, adjust the recipe according to the quantity of chillies you have. 625ml vinegar of your choice I use white vinegar. Sterilise your jars and lids immediately before adding chillies. I boil then in a pot on the stove and take them only when I am ready to fill them. Wash your chillies and with gloves on start slicing them into 5mm thick pieces – don’t worry about being too precise. Once they are all sliced I put the vinegar, water and salt into a large saucepan and bring it to a slow boil. 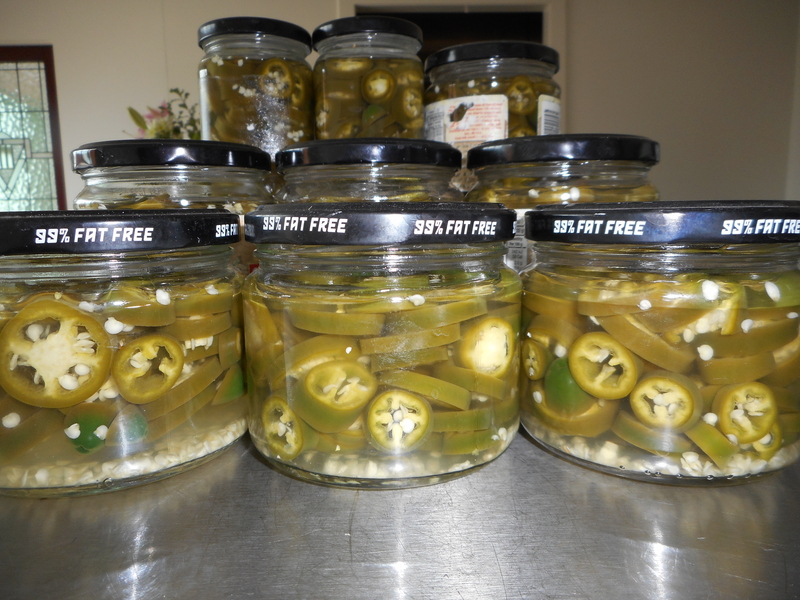 Start filing your sterilised jars with the jalapeños leaving a centimetre or so at the top. Drop in a few peppercorns and mustard seeds. 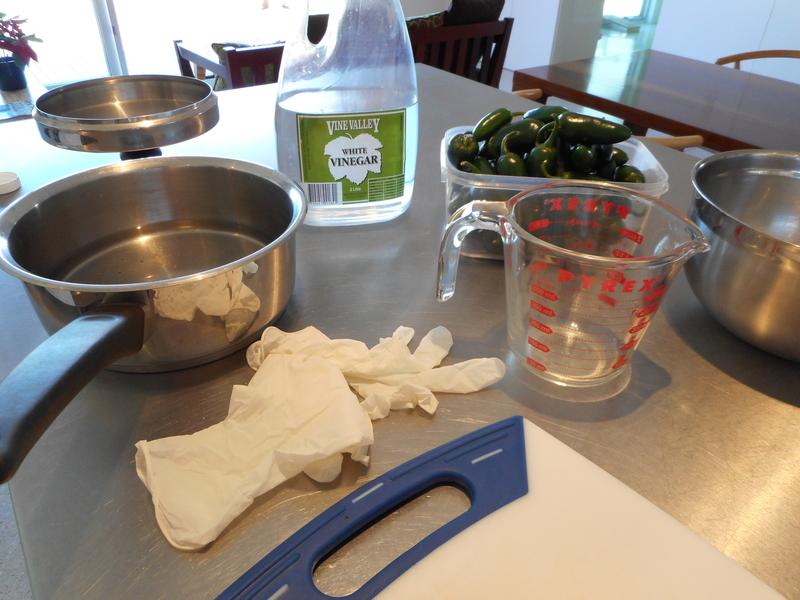 Carefully pour the hot liquid into your filled jars to cover the jalapeños. Immediately put the lids on as tight as you can and leave to cool. Once cool the middle of the lids should of popped in, if not it means they are not air tight and I would put the jar in the fridge and use immediately or do that jar again. Leave your delicious pickles for at least 2wks before opening. I think they reach their peak about 1mth after pickling. They gradually become softer over time and best eaten within 12mths. 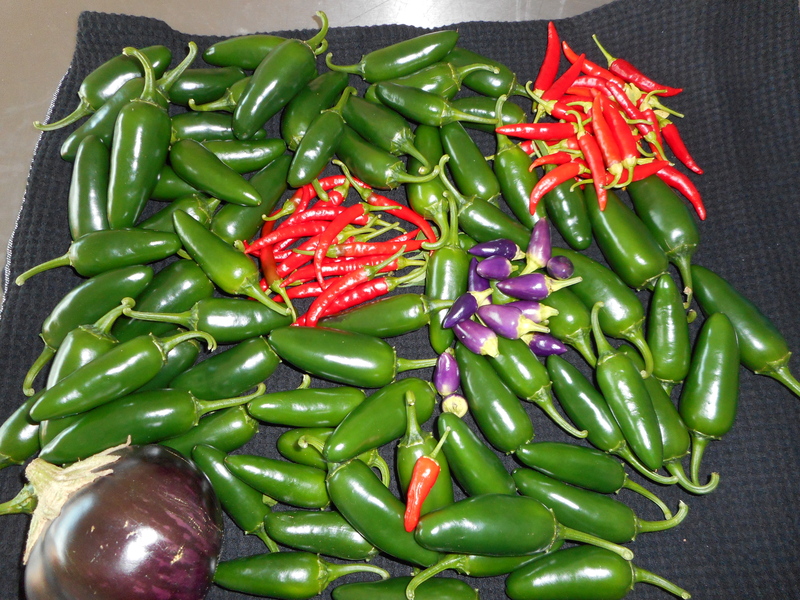 Chilli harvest, the lone chilli is the fire cracker. 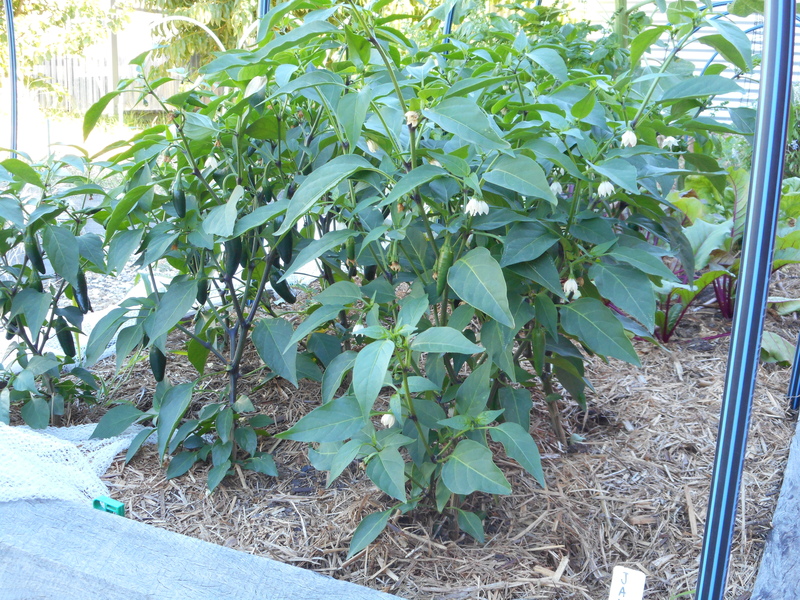 Down the back in my main vege garden I have planted 7 jalapenos plants, our favourites! I pickle them and we eat them throughout the year, I am in for a bumper harvest this year as you can see from this photo, this is my second big harvest for the season. The red chillies I freeze and use them throughout the year as well, I will have enough to last me the year which is great. The last chilli is my dog! 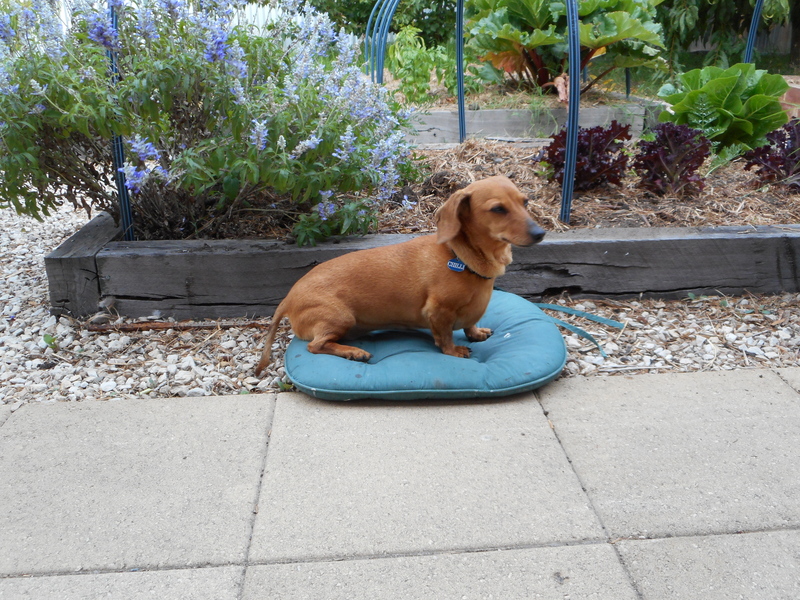 Yes her name really is Chilli she is is a 9 year old mini dachshund and my gardening companion. A lazy gardener, any opportunity and she will find the comfiest spot and have a rest.